A former Ukip regional chairman has been jailed for almost five years for grooming children as young as 12 and possessing almost 200,000 indecent images of children. Peter Entwistle, 52, called himself the ‘Naughty Doctor’ as he targeted pupils online using MSN Messenger and other social networks. The former chairman of the Bury branch of the UK Independence Party used an explicit picture of two women for his profile and spoke to a 13-year-old girl and a boy of 12, who he thought was a girl, asking them to commit sexual acts for his own satisfaction. 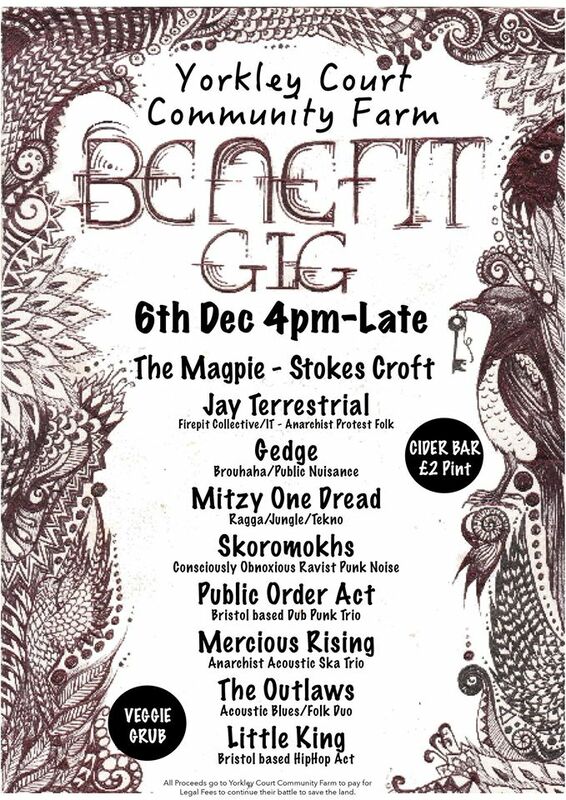 Yorkley court community farm benefit gig, Stokes Croft 6th December. 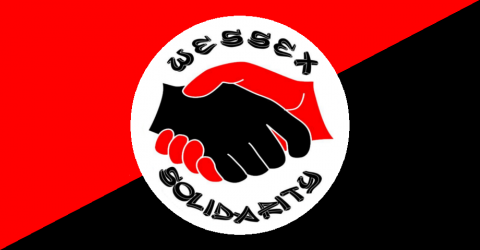 Congratulations to London Class War, delegates of Wessex Solidarity and Dorset I.W.W. have also participated in this campaign. 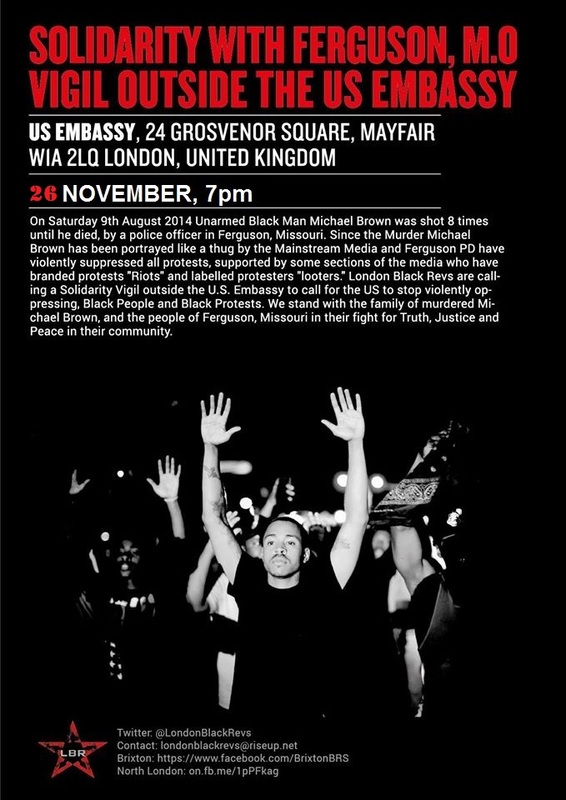 Let’s spread the message that only direct action can get us results. The new owners of No 1 Commercial Street in Aldgate East, London have agreed to hold talks over ending the use of segregated entrances at its tower block of flats. It comes after 19 weeks of noisy and good humoured protests by the working class action group Class War. The move by the under-pressure owners could herald the end of separate rich and poor doors in housing developments across the capital and UK. It follows an historic first meeting between Class War and Taylor McWilliams, the executive director of Hondo Enterprises. Previous owners Redrow quit the development after Class War’s weekly campaign against this class apartheid in East London. Localise the resistance, create militant communities where the corporate oligopoly – and ultimately the state, cannot operate. Liverpool shows the way forward. 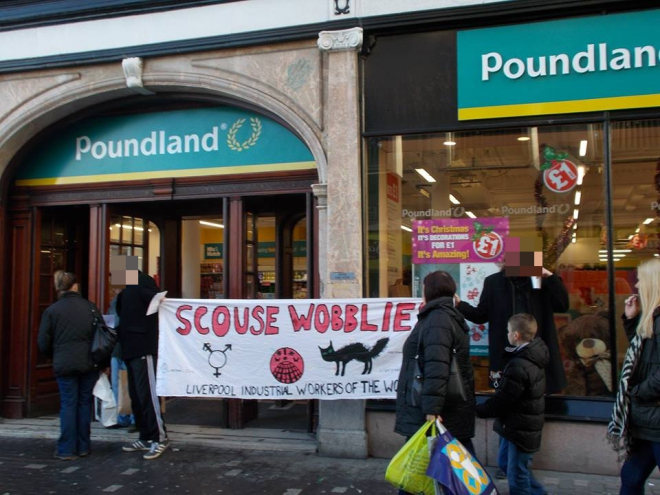 Yesterday was to have been the day of our big demo against furniture recyclers Bulky Bob’s, demanding that the Liverpool council contractor got rid of workfare. But then of course, the fact that we’d exposed them and were threatening a demo had been enough to force a statement that the company would no longer take part in any work programmes. So instead we held a much more low key demonstration, outside a major Tesco store in the city centre, and outside a Poundland, where we’ve got a really good reception from the general public in recent weeks.